John A Costello was a politician who served two terms as Taoiseach (Prime Minister) of Ireland between 1948 and 1957. During his time as Taoiseach Ireland was declared a republic and the economy improved. Bodies such as the Industrial Development Authority and the Board of Trade were established. Projects such as rural electrification was accelerated. John Aloysius Costello was born in Dublin on June 20th 1891. Having qualified as a barrister he was appointed Attorney General in 1926. He was first elected to Dáil Éireann in 1932. He was elected at each subsequent election until his retirement from politics in 1969. Following his retirement he resumed his career as a barrister. John A Costello was elected Taoiseach (Prime Minister) of Ireland for a second term in the year 1954 On This Day. Johnny Logan is an award winning singer and composer. He is considered to be the most successful Eurovision Song contestant of all time. Often referred to a ‘Mr Eurovision’, Logan has had a successful career as an entertainer spanning four decades. Johnny Logan was born Seán Patrick Michael Sherrard in Frankston, Victoria, Australia in 1954. His parents were from Ireland. When he was three years old, Logan moved with his family to Ireland. Interested in music from a young age he was playing the guitar and composing songs by the time he was thirteen years old. In 1980 Johnny Logan won the Eurovision Song Contest with the song ‘What’s Another Year’. Singing his own composition ‘Hold Me Now’, he won the contest again in 1987. In 1992 he had his third win as the composer of the song ‘Why Me?’ During his career, Logan has released a large number of singles and almost 20 albums. He continues to write songs, perform live and make television appearances. 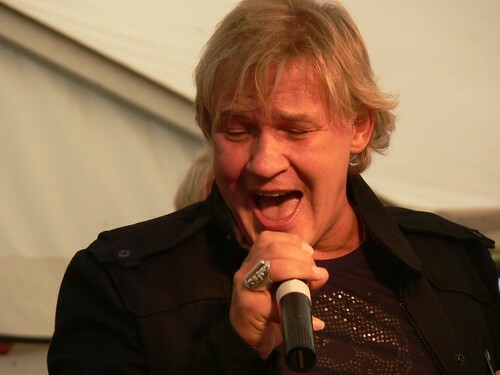 Johnny Logan, award winning singer and performer who is considered the most successful Eurovision Song contestant of all time, was born in the year 1954 On This Day. A successful athlete during his school years Bannister continued his involved in athletics at University. 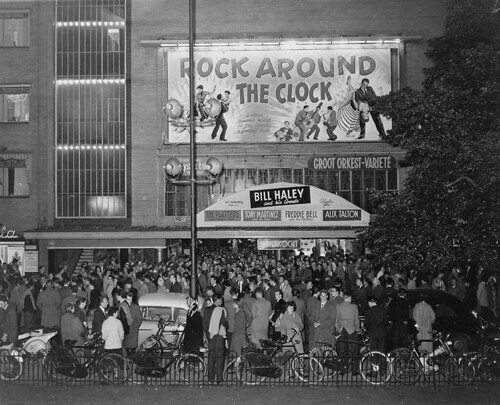 He competed in the 1,500m in the 1952 Olympics in Helsinki where he finished fourth. After the Olympics he resolved to run the mile in less than four minutes. He succeeded in his endeavour two years later at the Iffley Road Track in Oxford when he ran a mile in 3 minutes, 59.4 seconds. 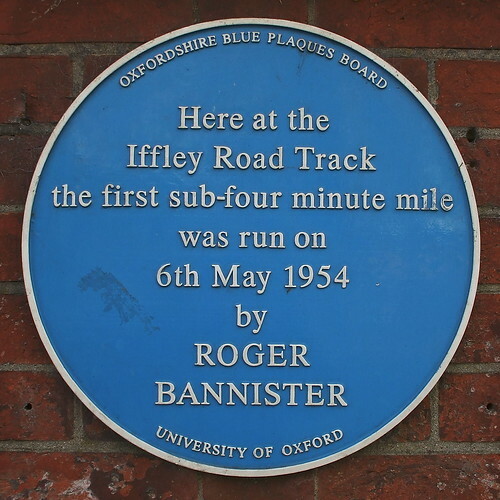 Roger Bannister broke the four minute mile in the year 1954 On This Day. 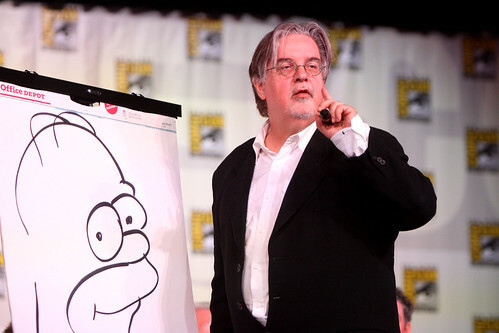 Matt Groening is a cartoonist who is a native of the USA. He best known as the creator of the television series The Simpsons. He is also a writer and producer. Groening is the recipient of numerous awards. In 2012 he received a star on the Hollywood Walk of Fame. The Simpsons is based on the Simpson family who live in the American town of Springfield. The family consists of nuclear plant employee Homer, his wife Marge and their three children Bart, Lisa and Maggie. 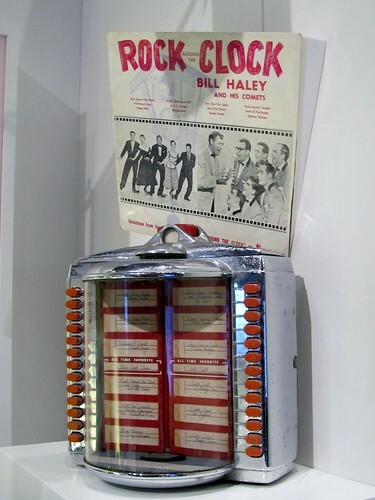 The long running comedy is considered to be one of the greatest television series of all time. The Simpsons had its television debut in the year 1989. Groening also co-created Futurama. 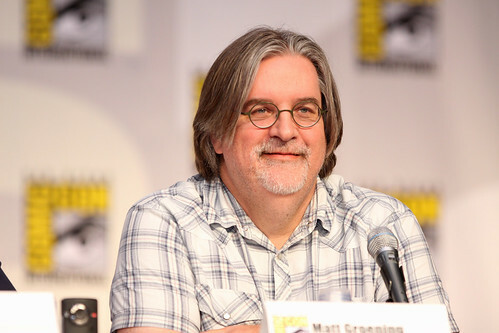 Matt Groening, creator of the television series The Simpsons, was born in Portland, Oregon in the year 1954 On This Day.